Behle Street Cafe is located right down the street from my work in the Rivercenter Building. I keep getting the same thing over and over everytime I go there. Hey, if it works it works. It is a bit pricy, I'll admit. But this particular occasion I had a groupon and was meeting a friend for dinner there. We parked across the street and had to pay $5 to park in the lot. Boo to that. Visit their website and find out how to get half price parking. Wish I had known that when I went! My friend Sheryl (hope you're reading, girl!) and I decided to sit outdoors on this particular lovely day. I loved it because they have an outdoor tiki bar-type area with a huge flat screen tv and seating covered with umbrellas. It was a perfect day to sit outside and enjoy the breeze. We both started out with their Lemon Drop Martini ($8.50) and both agreed that it was ok but not worth the price. I wished I had gotten the Sour Apple Martini or the Margarita Tini instead. Next time, next time. Because there will be a next time. As long as they have my wings and sweet potato fries, there will always be a next time. 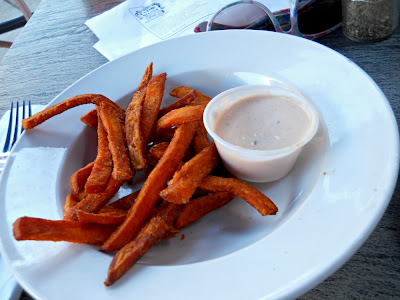 So obviously I got Fitz's Naked Wings ($9.50) and Sweet Potato Fries with a side of some sort of fantastic dipping sauce. Is it some sort of chili mayo? Not sure but man do I love it. The wings are crispy and not all soggy like some places, with the perfect amount of medium buffalo sauce. Their blue cheese is also very tasty. Not all places have good blue cheese, trust me. My sweet potato fries were crispy and delicious like always, but that sauce really sets them over the top. They are currently participating in Restaurant Week until the 19th if you are interested in trying out one of their 3-course options. I have read some bad reviews about their food and service during Restaurant Week so not really sure if it's worth it to go. Since I haven't tried anything else on their menu I can't really be of help in that department. I'd do it if I hadn't just gone to Meritage on Tuesday for their Restaurant Week menu, which btw didn't live up to my last great experience that I posted about :( I'll be sure to update that post with comments about my most recent visit. But anyways. Go to Behle Street Cafe. 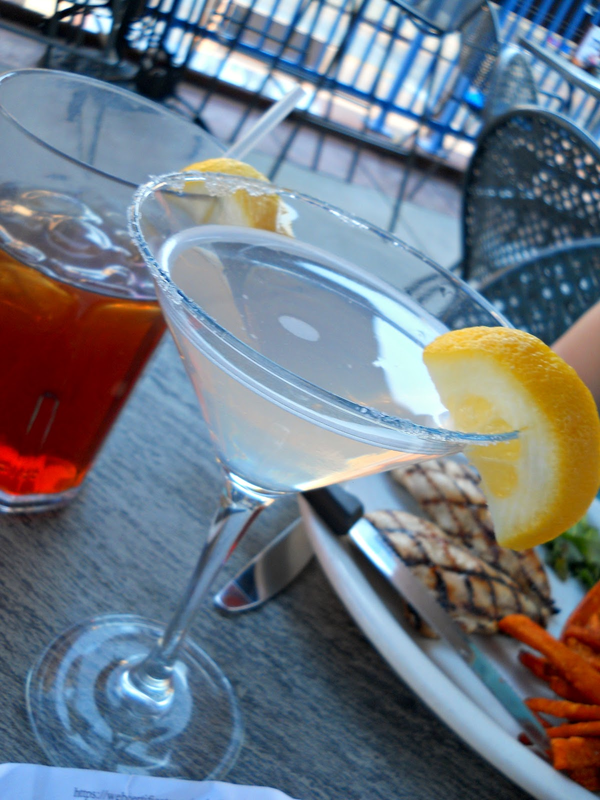 Sit outside and enjoy the breeze, the booze, and the flat screen. Eat some good food with a good friend. Then come back here and tell me what menu item I should eventually try if I ever grow tired of my wings and sweet potato fries. But that's just crazy talk right there. Pretty sure that could never happen. Thanks for this review! 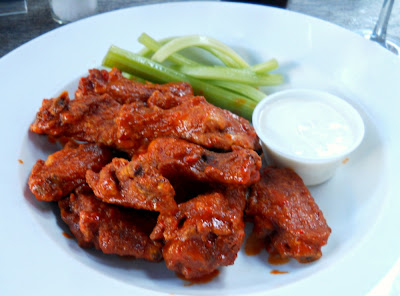 I love crispy wings too and I'm also very picky about my blue cheese dressing so it sounds like a great meal. I just live outside of Lexington so I will definitely go check it out sometime. I thought "naked" would mean no sauce. Where does the naked come in? Hopefully not in the kitchen, lol. "Fitz! You put your clothes on!" Love the blog girl!! Def was good food & good company ;) always enjoy getting together with you..we will have to do it again soon for sure!